This post is just make you know about where you could possible pre-order and get a new Apple iPhone 4, as the pre-order starts tomarrow.Apple and also other third-party retailers such as Walmart, RadioShack and Best Buy also will be there for pre-order and sale. The best method for pre-order is to go directly into Apple’s website and make your pre-order directly there.So you need not be in a queue or other things and you will be guaranteed delivery on its release date.But those in lines will get their Apple iPhone 4 before than you got yours.Other possibility is the Apple Store where the same things happens.They will make you sit infront of a computer, where you could pre-order it from Apple’s website. 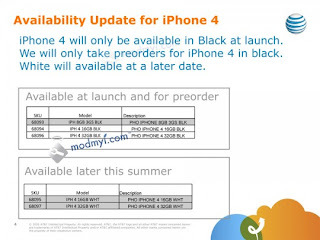 Next method is to go directly into an AT&T shop and pre-order with full payment at that moment itself. There is no guarentee that you will get one on the launch day. Moving on to the third party retailers is the next method. RadioShack is a retailer where you need to pay a $50 at the time of pre-order for make sure that you get Apple iPhone 4 on the launch day itself.The paid price will be deduced from the total price of the handset.RadioShack also provides assured free gift for shopping at their stores. 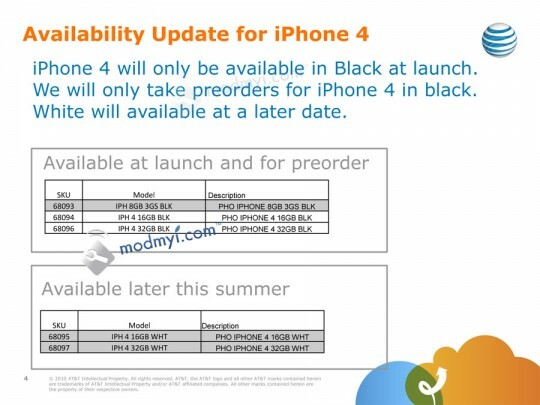 Other third party retailer is Walmart, they offered the iPhone 4 on June 24th but no clear details are provided by them. Other option is Best Buy where the deal is similar to RadioShack.With a $50 pay at the pre-order you will be guarenteed with a Apple iPhone 4 on the launch date of June 24th.But for all these to happen you need to be at the shope at the earliest before the shope open. 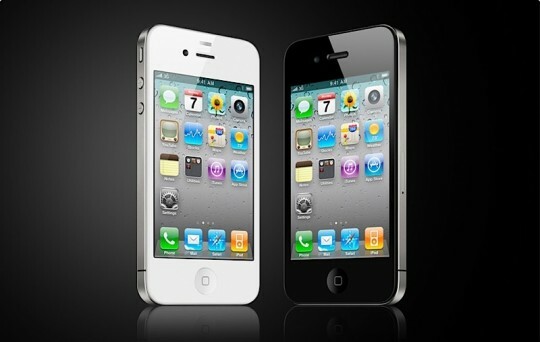 Recent leaked information also reveals that only the black version of Apple iPhone 4 will hit stores at June 24th and the white iPhone 4 will be available at a later date..